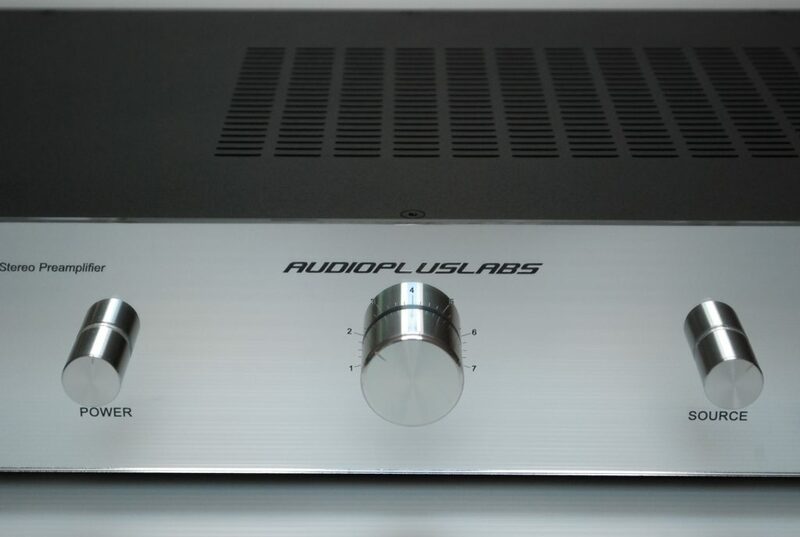 The LT05 is the main product of Audioplus Labs. Natural evolution of LT03, it uses 4 high grade double triodes EH-6CG7 in PSR configuration, that allow impressive three-dimensional soundstage reconstruction, neutral reproduction and true human voice realism. 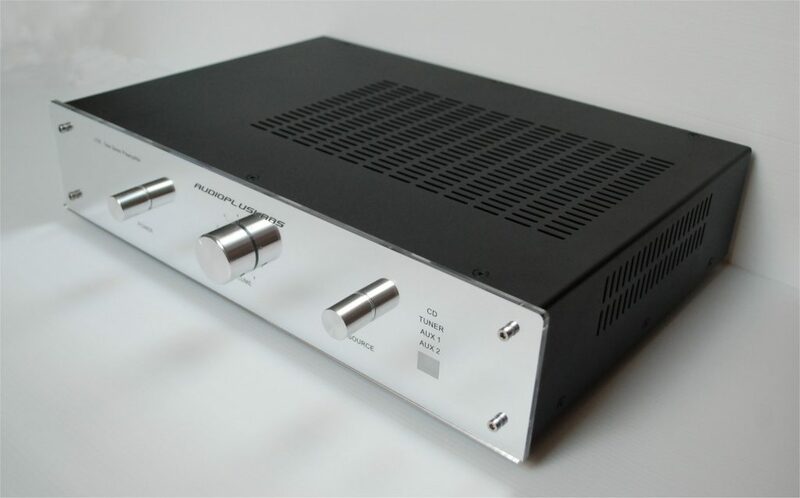 The input lines are DC coupled, equipped with relay switching circuit and cross-muting function to eliminate any possible interference from unused sources. The stunning performances of LT05 are possible thanks to the sophisticated anodic supply. The high voltage lines are completely stabilized by an upgraded High Voltage NZOS© Near Zero Shunt Supply circuit, with redesigned double cell filter, powered by fast and low ESR capacitors, doubled at the output of every single section. 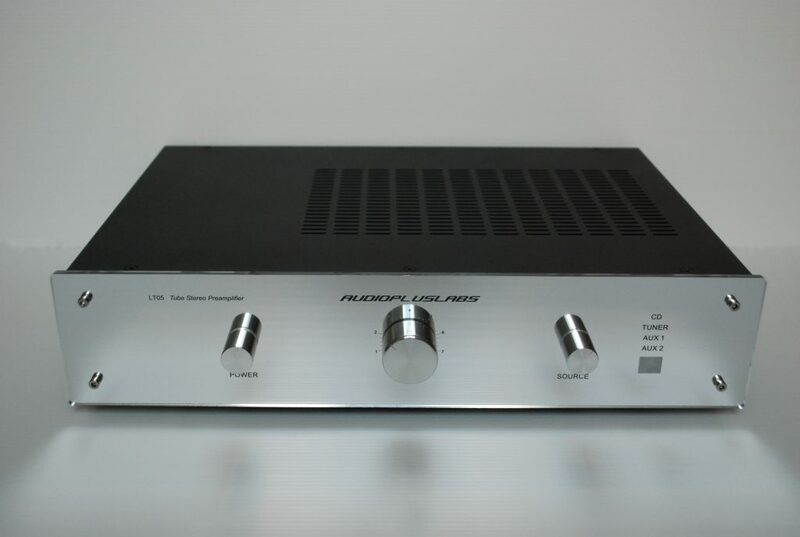 This configuration guarantees large reservoir of energy in every music transient and noise free supply, while the active shunt circuitry, characterized by very low output impedance and wide bandwidth, eliminates any audible characterization, typical of common stabilized supply. The heaters supplies are separated and stabilized, with slow turn-on function. An up-to-date main DC filter ensures hum-free condition for the toroidal transformer. The elegant and sober case is typical of the Italian minimalist design, with laser machining.